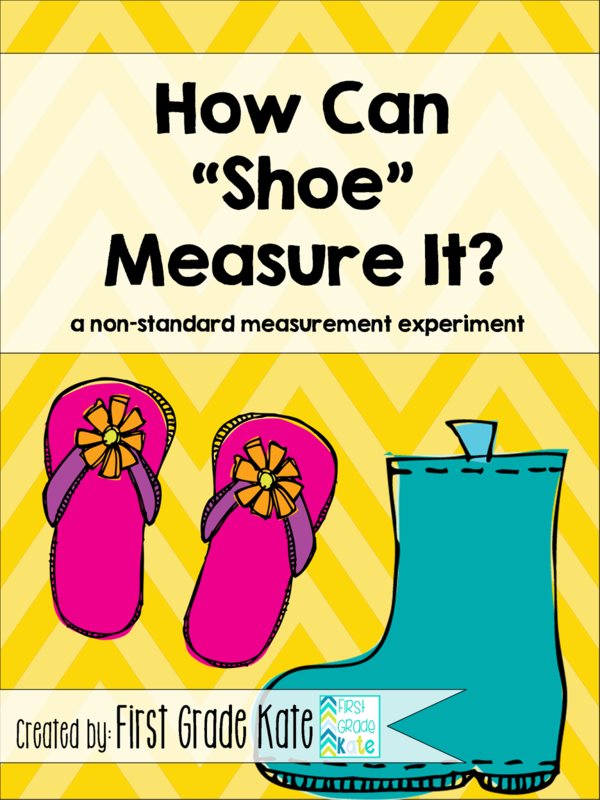 I have a fun measurement experiment to share with you today! I've done it for a few years now, and every year, my kiddos just absolutely love it! 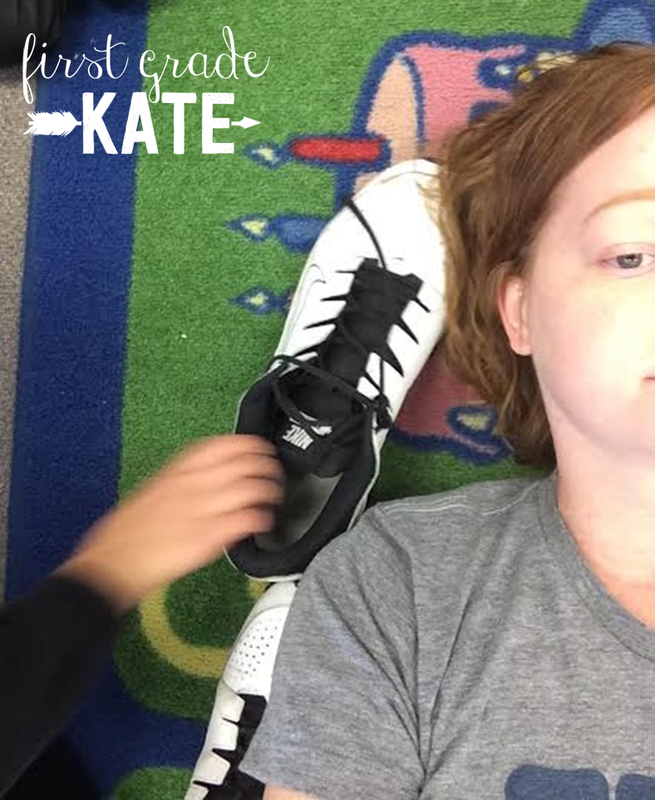 To practice non-standard measurement and explore why we get different measurements depending on our unit of measure, we use shoes to measure items around the classroom. I have the kids use THEIR shoes, I bring in some of MY shoes, and I ask a guy friend (who wears size 12 men's shoes) to loan me some of HIS shoes. The kids are always a little in awe of how big his shoes are! 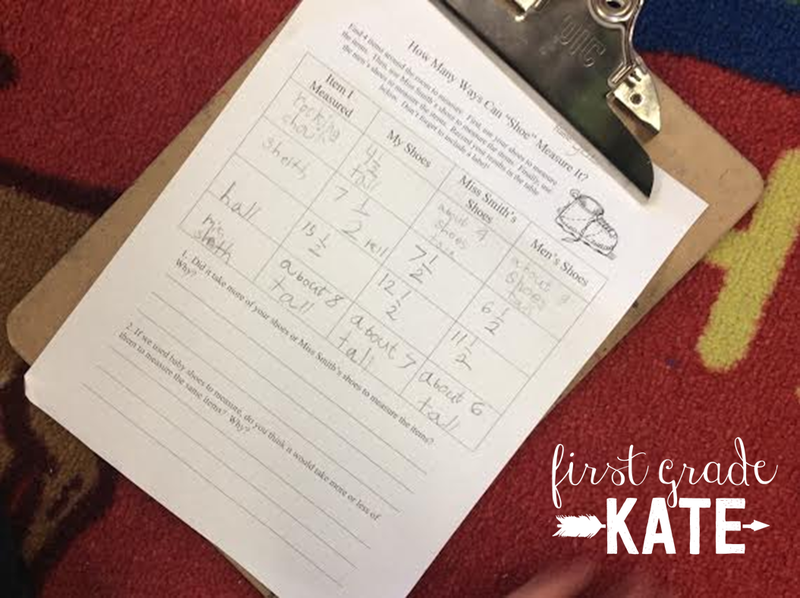 We measure and record the first item together, so I can reinforce how to measure correctly and model how to record the different measurements. I make sure to observe that it takes less of the men's shoes than their shoes to measure the object and ask them to think about why that is, though we don't answer that question yet. 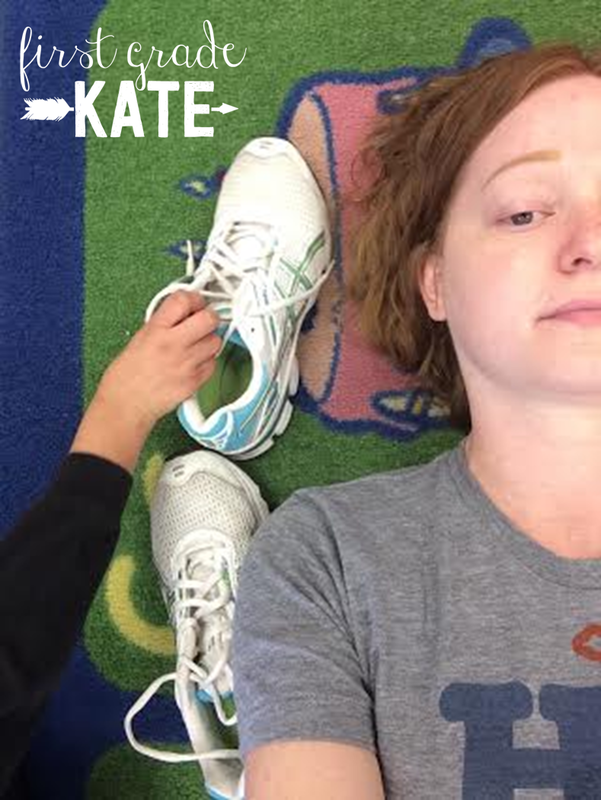 Using my shoes to measure...I am 7 of my shoes long! Using men's shoes to measure...I am 6 men's shoes long! After they are done measuring, I bring them back to the carpet and we finally answer the question of why it takes less of the men's shoes than their shoes. 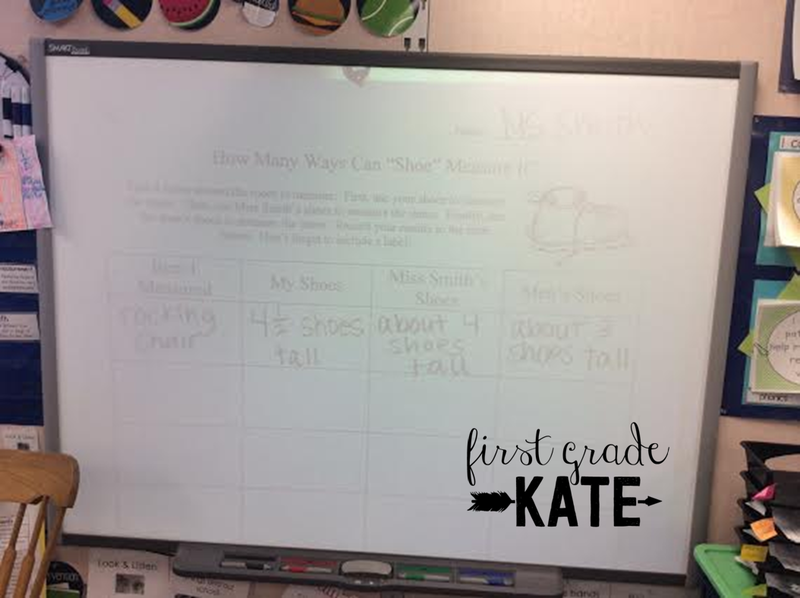 I also ask students to extend their thinking by asking them if it would take more or less baby shoes to measure the same objects. If you try this experiment in your classroom, I'd love to know how it goes!